New Client: Country Road Homeowner’s Association, Inc.
We are proud to announce that Country Road Homeowner’s Association, Inc. has selected Tinnelly Law Group as their associations’ legal counsel. 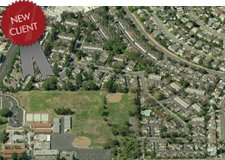 Country Road is a planned community situated over 35 acres within the City of Brea. Residents enjoy a clubhouse complete with kitchen, fireplace and conversation area, fitness room, two pools, spa and wading pool, BBQ, and greenbelt. Our HOA attorneys and staff look forward to working with Country Road’s Board and management.